One of the two most exciting new printing technologies to emerge since the advent of offset in the early 1900s is inkjet. The other was Chester Carlson’s 1930s invention of xerography, or electrophotographic printing. However, unlike xerography, inkjet’s origins go back at least to the 19 century – it’s just taken a while for the ideas to be matched by the technology capable of delivering millions of tiny ink droplets onto a substrate, in the form of the modern inkjet printhead. Around 1873, famed British inventor Lord Kelvin patented his ‘Syphon Recorder’ for tracing incoming telegraph messages. This was the first printer to use ejected ink droplets to form an image. However, not to be outdone, France claims the first theoretical inkjet application because, in 1754, a Msr. L’Abbé Nollet, Master of Physics for the Dauphin of France, conducted research into the effects of static electricity on the flow of liquid droplets from capillary tubes. According to Inkjet guru Graeme Minto, who went on to found Domino Inkjet Sciences in 1978, Nollet also reported the very first blocked nozzles! 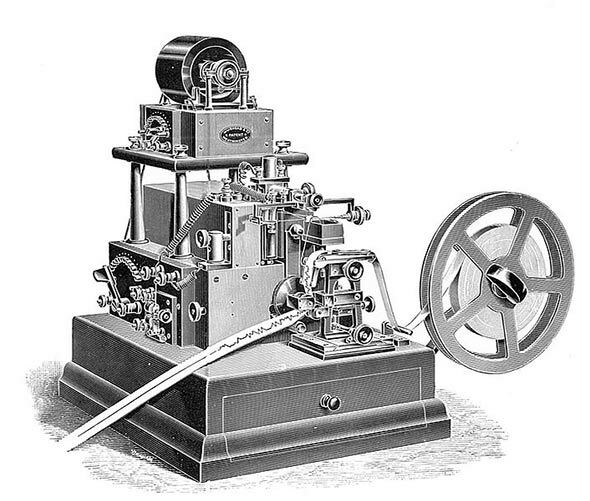 Inkjet remained an idea looking for a market until the 1950s when the Siemens company introduced a medical recorder that used ejected ink droplets to mark the paper. In the years that followed, inkjet was seen as primarily a marking and encoding method of printing, placing a single colour of informational data onto cartons, boxes and products such as plastic pipes. Fast forward to 2015 and we can see that inkjet for full-colour printing with stunningly vibrant detail, is all around us. What caused this acceleration in inkjet’s capability?